As the use of private hire app Uber continues to grow across the UK, scammers are trying to trick customers into giving up their account details. If you give an organisation access to your personal data, you can use your rights under the GDPR to manage how they can use it. If you become aware that an organisation has lost your personal data, there are steps you can take to protect yourself and in some cases claim compensation following a data breach. Copycat websites charge a fee to process or renew official documents, which you can do free yourself. Don’t get caught out – read the Which? guide. Working out whether an online ticket seller is legitimate can be tricky. Protect yourself by taking a range of steps when buying tickets online. If you spot a scam, it’s not always clear who you should report it to, and it depends on whether it’s an email scam, telephone scam or another type of fraud. If you’ve been the victim of a phishing email scam and have had money taken from your account, use our template letter to have the money reimbursed. It’s not always clear who you should report a scam to or how to get your money back. 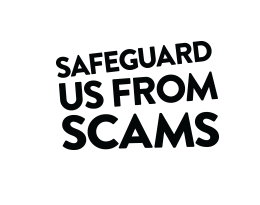 Our guides tell you how to report scams and get your money back.